PHILADELPHIA, PA – On Thursday, November 1, 2018 the globally recognized initiative, The Made Man (TMM), returns to Philadelphia, PA to honor exceptional African American notable male leaders in the community while powering the platforms mission to uplift & engage accountable male leadership in community service programming for the underserved by creating a sustainable socio-economic & racially equitable society for man, woman and child. The Made Man Foundation, 501c3, addresses challenges that affect men who have many roles including father, son, husband, mentor, leader, and more. While providing programming that emphasizes Black male leadership advocacy with a strategic and intentional effort to overcome the lack of positive black male imagery – male killings, male imprisonment, absentee fathers, and overall fragmentation of the family, social, and economic relations. TMM tour executes an engagement strategy that addresses a strength based & positive approach for transformational leadership by understanding the need to recognize extraordinary achievements of notable Black male influencers for leadership in their respective fields of work, social consciousness and significant contributions to the community, while building a bridge for these male influencers to inspire, motivate and extend their resources to empower and invest in our communities. The Made Man U.S tour trek will also include stops in New York, Los Angeles, Washington D.C, Chicago, Charlotte, New Orleans, Houston, and more. As part of the foundations global commitment to empowerment in developing countries, TMM’s visionary leader and founder, Ky Dele, has launched The Made Man Africa (TMMA). An international platform developed by the native American- Nigerian, to support the United Nations Sustainable Development Goals. (TMMA) tour will include stops in Ghana, Ethiopia, South Africa, Nigeria, Sierra Leone, and more. (TMM) 2018/19-tour programming includes new community engagement models that specifically advocate for the underserved through mentorship, gender equality, workforce & employability development, education, economic empowerment, transformational leadership, and community organization mission advocacy & support. Honorees & (TMM) alumni will participate in a day long series of programming at Wells Fargo Museum & Bank located at 123 S. Broad Street in Philadelphia, PA and visit a Philadelphia area High School to engage in programming with teens that include mentorship and workshops. As well as participate in the Press Conference, Made Man Honoree Reception & Suit Drive and the new Global Thought Leadership Think Tank Symposium. As part of the suit drive, new honorees and alumni will be engaged in the national collection of gently worn suits in support of the platforms workforce development and career readiness programming. 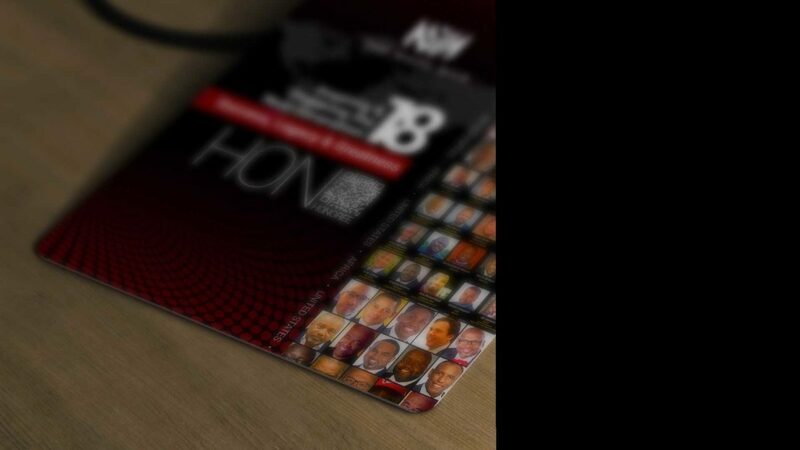 Following multiple years of national presentations, TMM has honored over 600+ notable influencers in the entertainment | sports | corporate | political & community sectors such as, SVP & Northeast Community Relations Senior Manager, Wells Fargo, Aldustus Jordan, legendary recording artist Kenny Gamble, Senator Vincent Hughes, President & Chairman of the 100 Black Men Philadelphia, Keith Warren, Marcus Allen, Vice President, Global Diversity & Inclusion Hyatt Worldwide, Tyronne Stoudemire, Senior Vice President NFL Washington Redskins, Tony Wylie, NBA Alumni MSG Network Analyst, John Starks, President, National Urban League Marc Morial, and many more. In addition, TMM has collected over 18,000 suits, impacted 200+ organizations, provided mentoring workshops to 6000+ male students, and sponsored college applications for 6500+ students. The Made Man has been featured by the Associated Press, Huffington Post, CNN, FOX, Black Enterprise, NBC, I Heart Media, WGN America, USA Today, Getty Images, Black Enterprise Magazine, Essence Magazine and much more. Community empowerment mentoring and motivational workshops with the honorees speaking at local schools and community-based organizations. Items received will be donated to local Washington, DC charities. ‘A Taste of Philadelphia’ hors d’oeuvres and cocktails will be served by MillerCoors. 100% of proceeds benefits The Made Man Foundation & Programming. To purchase tickets, please, click here.